Personalized sports lip balms included in this category are formulated by keeping the high requirements of sports playing individuals in mind (who are prone to spells of dryness during their outdoor stay). Promotional sports lip balm enriched with high value petroleum based moisturizers are usually preferred during outdoor events because it help to overcome lip cracking due to dryness. 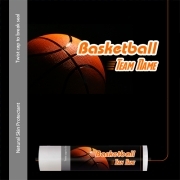 Custom sports lip balm is often presented within special sports accessories shaped containers such as ball shaped tins, which not only improves its appeal, but also makes it a must-have in travel kit of a sportsman and a regular user.